Michael Mascelli Upholstery with 40+ Years Experience – Highest Quality Work, specializing in traditional hand-sewn upholstery for period and reproduction pieces, automobile seats, and upholstery conservation, including minimally intrusive treatments as per AIC standards. Lower cost hybrid treatments with modern materials also available. Complete service including restoration and refinishing of frames. Challenging pieces welcomed, impossible pieces considered. He is also co-Director of the Professional Refinisher’s Group, a national organization founded in 1998. 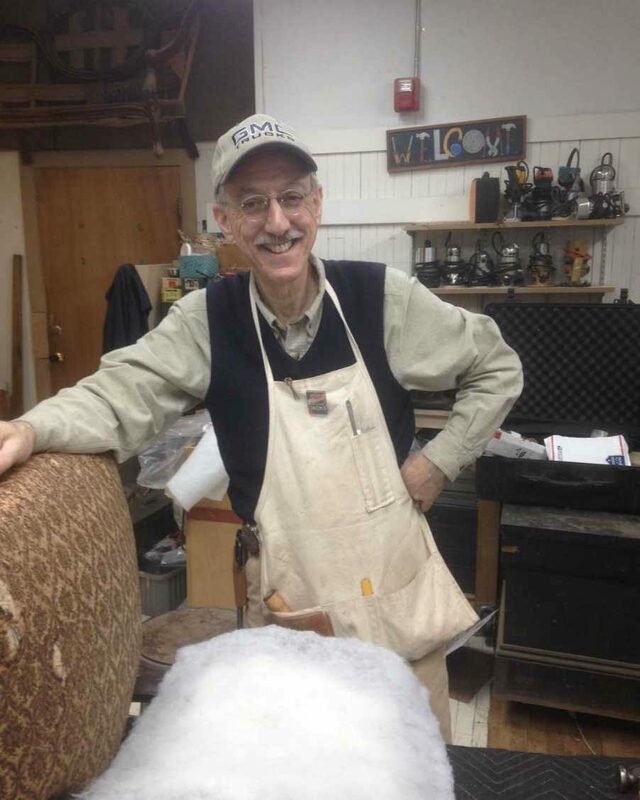 Michael teaches others the craft with upholstery classes offered at the Marc Adams School of Woodworking, Franklin IN and at the Center for Furniture Craftsmanship in Rockport, ME. Other classes, including lecture-demonstrations upon request.